Dr. Ken Kronhaus - Watch Out For Venomous Caterpillars!!! 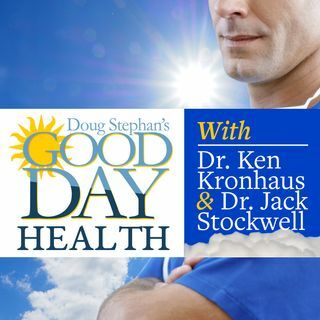 Dr. Ken Kronhaus and Host Doug Stephan discuss a new study that suggests that Intense Emotional Stress may be as bad for your heart as Smoking. Do we really understand the importance of having a healthy Immune System? Next, a warning about Venomous Caterpillars! Studies now show that most teens don't get enough sleep, increasing their risks for heart disease. Do you know about the new Household Metabolism Monitor and The Memory Diet? Finally, a new blood test that can tell all about your ... See More diet.